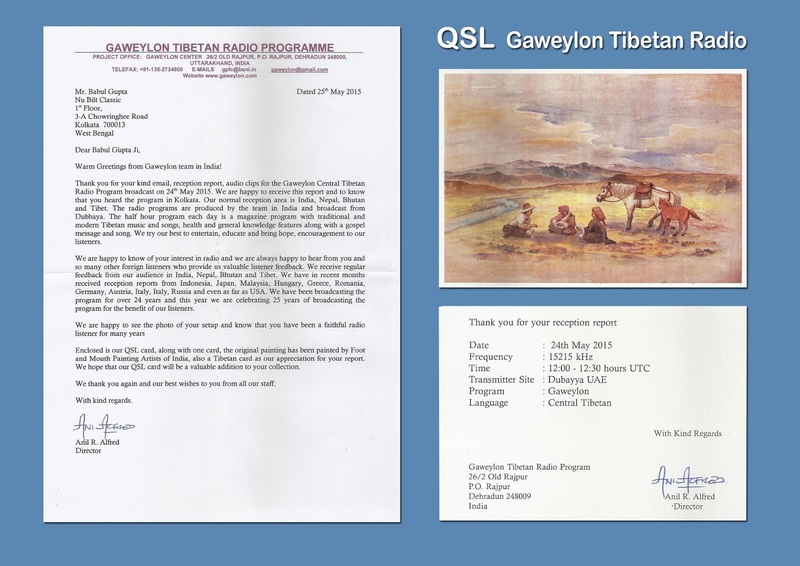 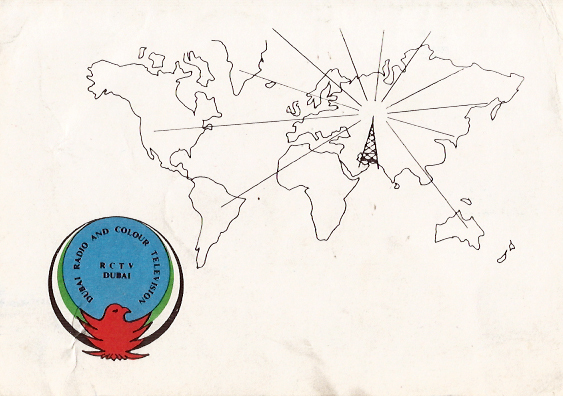 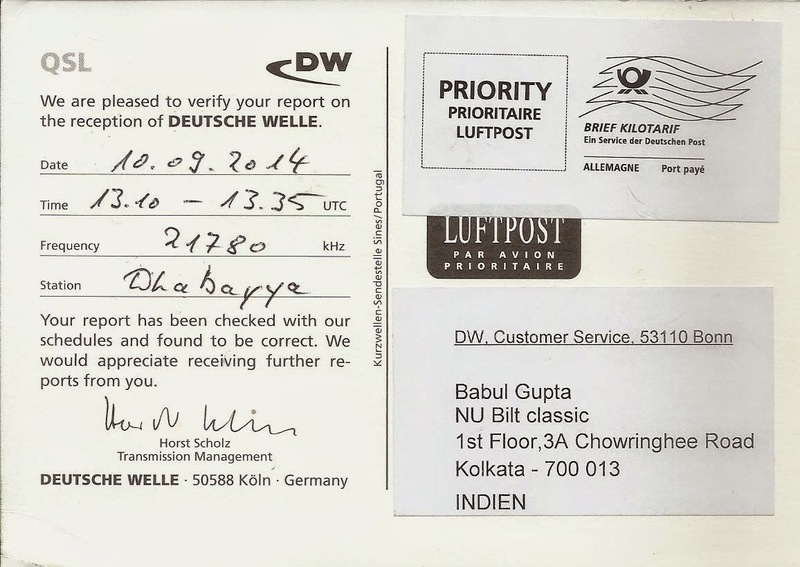 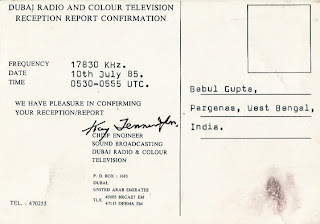 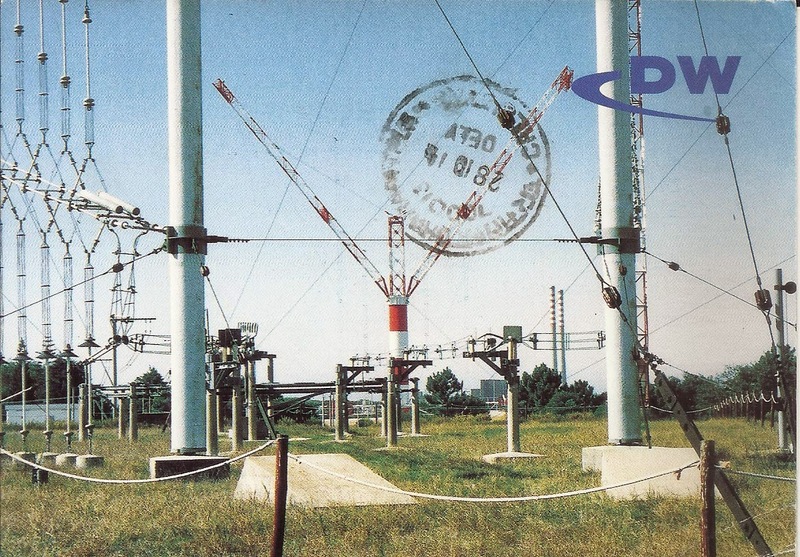 Deutsche Welle - Dhabbaya, UAE: 21780 kHz in Hausa language log at 1310 hrs to 1335 hrs UTC on 10th September, 2014 and f/d QSL card arrived on 28th October, 2014 for my email report. v/s Horst Scholz. 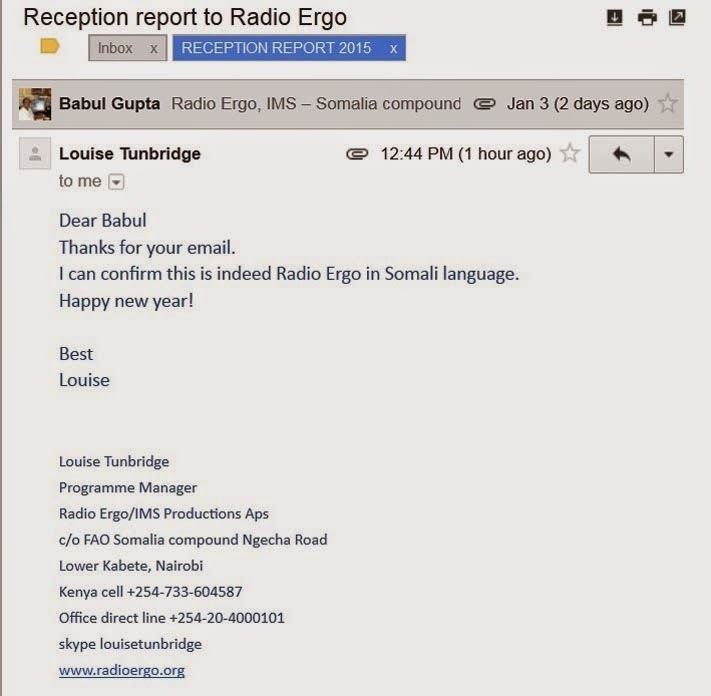 Radio Ergo - Dhabbaya, UAE: 17845 kHz in Somali language at 1225 hrs to 1258 hrs UTC log this station on 3rd January, 2015 and email conformation received on 5th January, 2015 for my email.